Congratulations Emiliano, Adam and Margaret!! Lots of talk about the number of female MLAs that could be taking seats tonight. We've already got 4 confirmed. 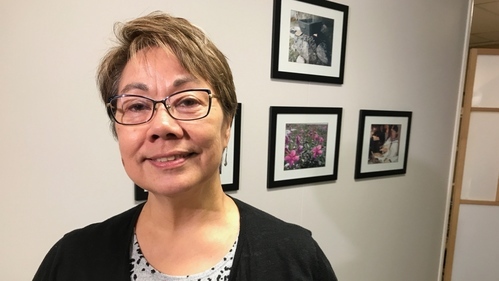 Here's an earlier story we did, with former premier Eva Aariak talking about the importance of women in Nunavut's legislature. CBC NewsEva Aariak, Nunavut’s first woman premier, encourages women to 'just do it' and run for election. Final results in for Aggu - it was indeed a close race, with Paul Quassa winning by 10 votes over Matt Teed. Quassa is widely expected to put his name in the ring for Premier. 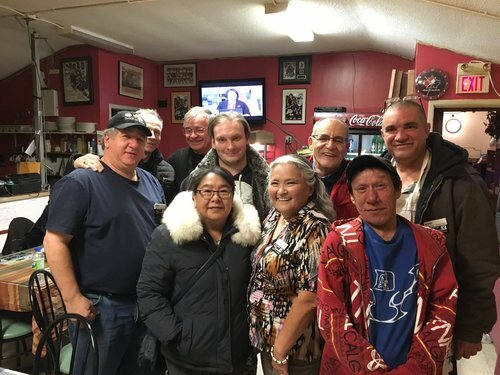 Another result in, this time out of Rankin Inlet North-Chesterfield Inlet, where Cathy Towtongie has been elected, unseating Tom Sammurtok. As a programming note for our radio/TV viewers - we're going to be going off the air at 12:30 ET., I believe. I'll stick it out here and continue to provide updates as we have them - still some big races left to call. Still waiting for results from Cambridge Bay, Gjoa Haven, South Baffin, Arviat North-Whale Cove, Aivilik, Iqaluit-Manirajak, and Quttiktuq. What's taking so long for Iqaluit-Manirajak? Really not certain what the hold up is with the official votes there - but we've heard that Adam Arreak-Lightstone has defeated Monica Ell. Is that information from people at the tally? That's from a couple candidates. But nothing's official yet. So yep, that'd be from scrutineers at the tally. A note to our followers here - we're going to hang around for a bit in the hopes of getting some more results, but it's possible we will finish up tonight without all the votes in. Wish I knew, Joe! We haven't heard anything from there yet, and only one poll in so far. Results are now in for Gjoa Haven - incumbent Tony Akoak has retained his seat. For those of you wondering if this is taking a long time, it is. Last election, the blog wrapped at 12:05, with only 4 constituencies left to call. We've got 6 left, and it's almost 1 a.m.
With 1AM rapidly approaching, we're going to move to wrap up here for the night. It's been an interesting one, with a couple of cabinet ministers going down, a lot of incumbents retaining, and a really slow trickle when it comes to those late results. Pitsiulaaq, Jane, thanks for sticking around. What are you guys' thoughts on what you've seen tonight? Anything stand out to you? Whoa! 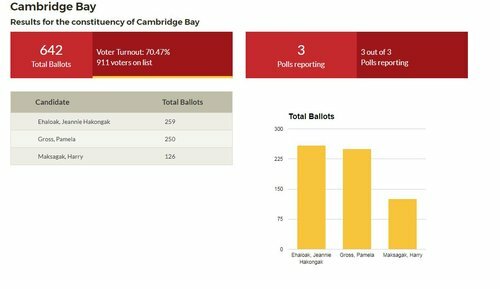 And as I move to wrap, we have final results for Cambridge Bay - and it's a real close one. Jeannie Ehaloak wins by 9 votes over Pamela Gross. I think it's interesting that both incumbents in Rankin Inlet lost. That tells me people there are really looking for change. It's interesting to see how many candidates with municipal experience have won tonight. And a record number of women will be heading to the legislative assembly. Minus one who would have been a game changer. That municipal experience can really help with name recognition when it comes to running against incumbents, who have such a huge advantage in that respect when it's not a party system. It's great to see the record number of women heading to the legislative assembly. Yukon set their record in that respect in their last election as well. Hopefully that will encourage more candidates to put their names forward in the next election. I think the race in Amittuq experienced that community vote splitting we talked about earlier. Joelie Kaernerk is from Hall Beach. The incumbent George Qulaut was from Igloolik. The other story is what happened with the results. 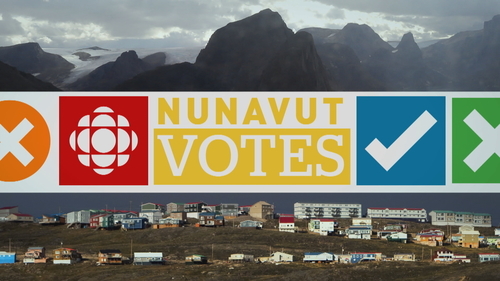 Why was Elections Nunavut so slow to report? 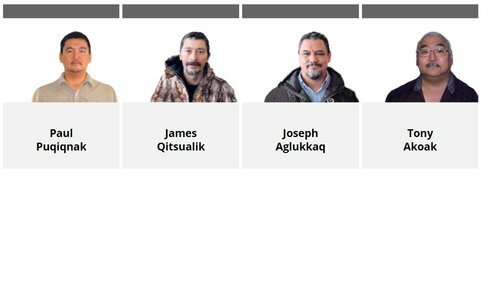 Finally getting some results from Elections Nunavut in the Iqaluit-Manirajak race. Adam Arreak-Lightstone does indeed have a solid lead on Monica Ell, with only advance polls left to report - and those have been mixed in with the other results in other constituencies, so it's possible that's final. And everything but the early polls in Arviat North-Whale Cove. John Main with a big lead. Looks like he'll be heading to the legislature. But, we will wait for tomorrow morning to find out for sure! If you're a night owl and are hitting refresh over and over, stay tuned to Elections Nunavut's website. Thanks so much to Pitsiulaaq, Jane, and Aaron, and all of you for spending election night with us tonight - and goodnight from here in Iqaluit! Here are our decided constituencies so far. I'm going to stick this post to the top of the blog and update it throughout the evening.